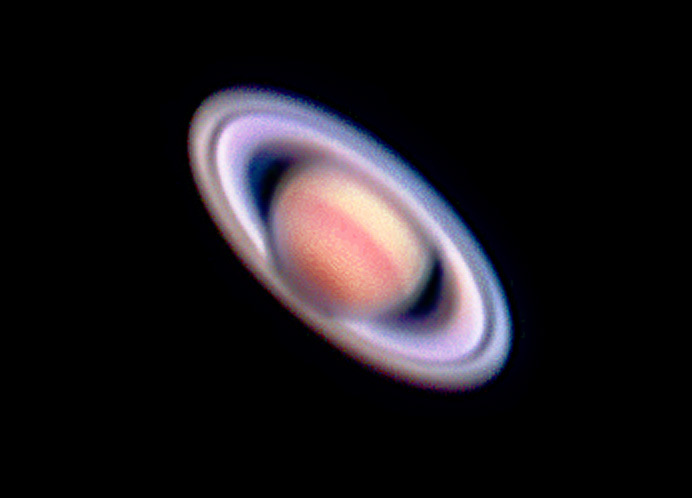 Ian's picture of Saturn is beautiful. There are those rare images that simply capture the imagination - this is definitely one of those images. The rings show up well, even the "C" ring. The equatorial zone - creamy white is well defined as is the polar region. Once every 13-15 years the rings are tilted over at near 30° to the Earth's line of sight.